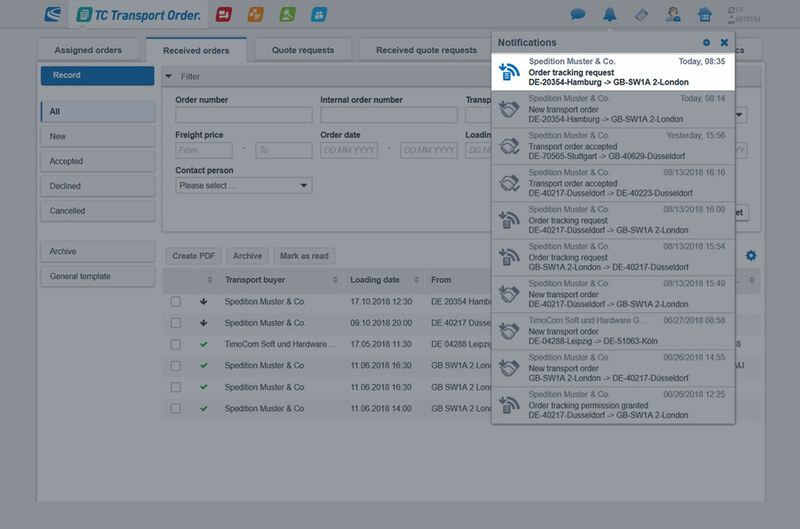 You can find the "TC eMap® tracking” box under “Vehicle type” in the first tab “Transport order”. By ticking the box, you are requesting GPS tracking permission in a binding manner upon assigning the transport order as part of the contractual agreement. Your transport service provider will be automatically prompted to grant permission for transparent order tracking. Send a tracking request for the corresponding and already accepted transport order in the second tab “Additional information”. This tracking request is an additional feature and is not part of the binding order agreement. 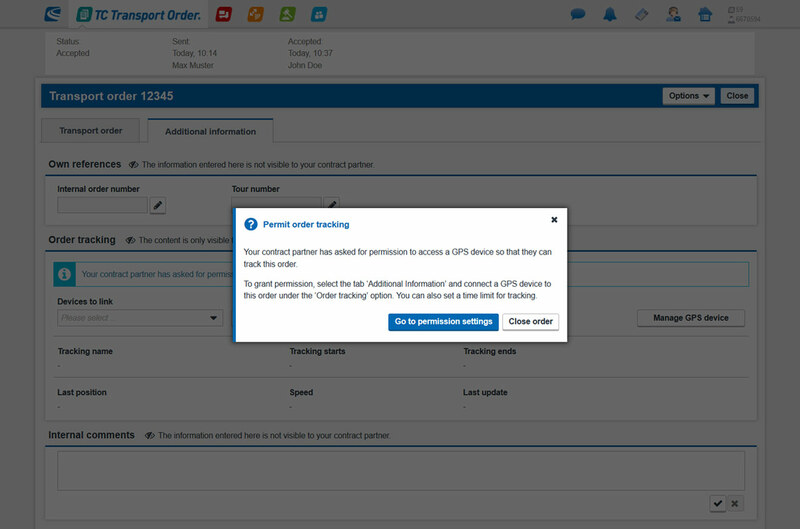 Your transport service provider will be prompted to grant tracking permission for order tracking after sending the request with a message and a comment in the transport order. As a transport service provider, you are informed in both cases of requested tracking permission through the transport order: tracking request included in the transport order or the subsequent tracking request. If you follow up the request and then grant GPS tracking you will enable your transport buyer to view your tracking information. 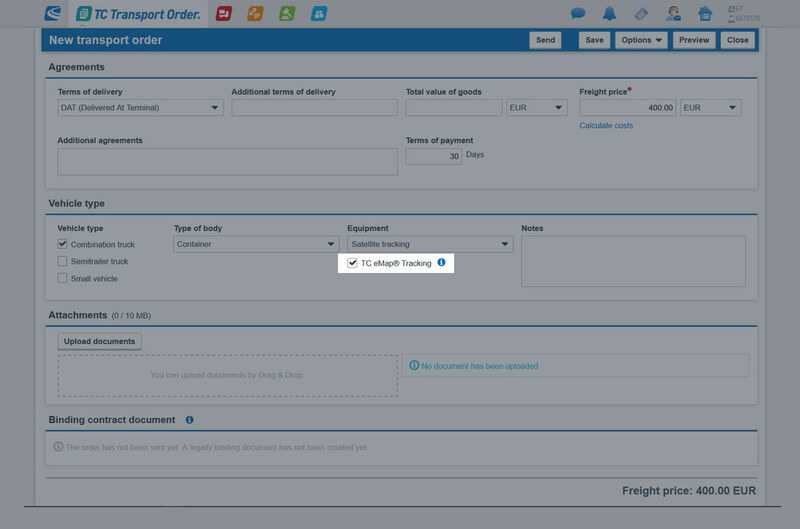 This means the transport buyer can follow the transport order himself and does not have to make any queries in the meantime. If you close the order form unanswered, a dialogue will open. You will be informed that you have yet to grant permission. You can enter comments on the transport order in the “Internal comments” field in the second tab “Additional information”. These notes are only visible to you and not your business partner.